I was afflicted by congenital diabetes and persistent hypertension all my life. I am an educated woman with a profession in Veterinarian Science. Due to my illness I can no longer earn my livelihood. I cannot cook my daily meals, nor take care of my toilet. But now I have taken refuge in ThaBarWa Centre under care of ThaBarWa Sayadaw U Ottamasara. Due to his boundless metta, virtues of Dhamma discourses and practical meditation, I no longer have to worry about my anxiety for food, clothing and shelter. I have also gained knowledge and insight of Dhamma teachings. Formerly I was worried that I will have to live a lonely existence in misery, infirmity, and want. How wrong I was! During the two years of refuge in this peaceful sanctuary I come to realize how lucky I am. My lodge, boarding, meals, clothes as well as medicare are well taken care of and have no worry. I also come to observe many old people who suffer worse conditions than I. Previously I had a great desire to enter and practice meditation in a Dhamma centre. But as I am an invalid with disability, there was no centre willing to accept me in my condition. My relatives had supported me financially but they cannot tolerate long years of caring for a congenital invalid who is constantly facing death and suffering. It was my good fortune to meet Sayadaw U Ottamasara and take refuge in the ThaBarWa Centre established by Sayadaw. He has taken full responsibility for food, shelter, clothing and health. He has also given me peace of mind to practice meditation and take refuge in Dhamma. I also come to realize with gratitude his boundless compassion, knowledge and wisdom. I have also come to know the virtues of community life among the old and the infirm like myself under the same roof. I come to learn mutual help, the sense of sharing, sympathy, consideration for others, sacrifice, patience, forgiveness, understanding, and to live in harmony. I learn to resolve differences, conflicts and problems by discussions and consensus. I feel that by practicing the virtues of Dhamma meditation, I will cultivate a better understanding of life and enjoy peace of mind. Sayadaw’s regular discourses on Dhamma sermons, and practical meditation has offered solutions on natural law which is highly instructive. I am grateful for Sayadaw’s insight and guidance. 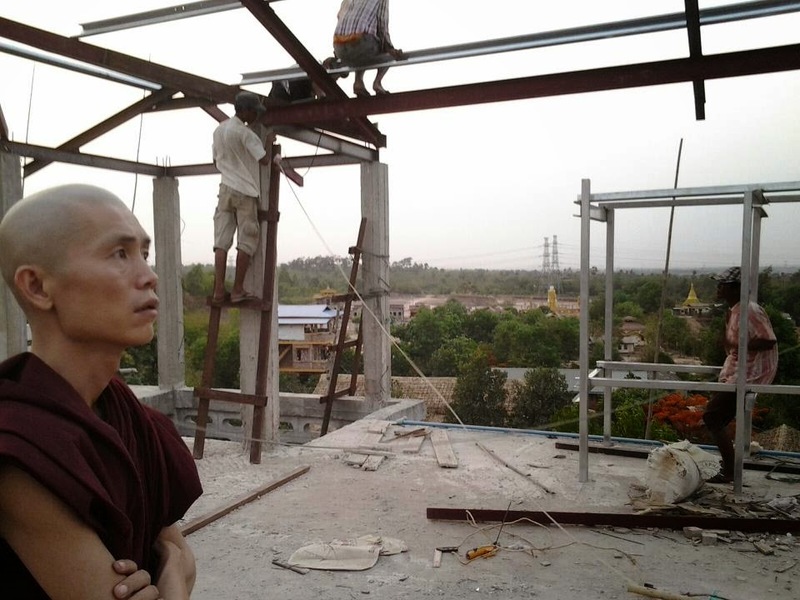 I have pondered on ways to repay Sayadaw’s virtues most suitably, but cannot find how to do it. Finally I realized that the best way is by faithfully following Sayadaw’s discourses and practice dutifully. 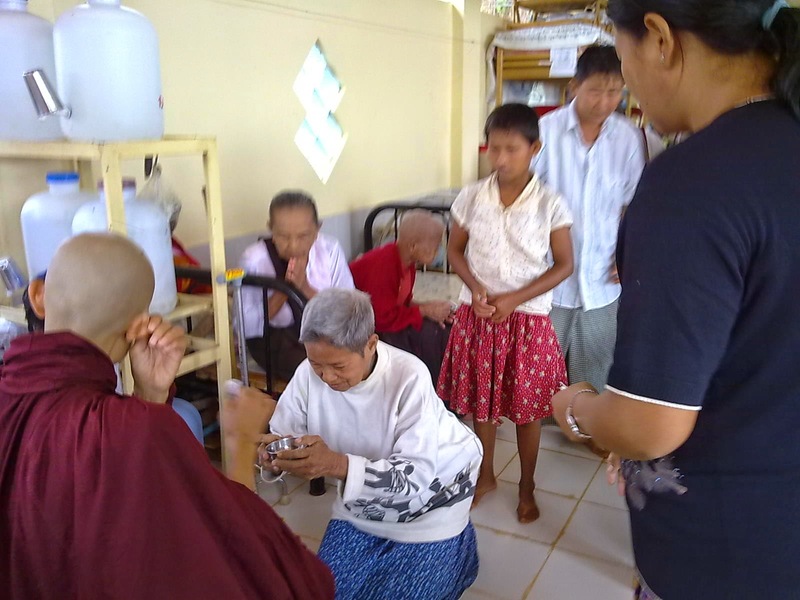 I cannot help but admire Sayadaw U Ottamasara’s boundless generosity and dedication for establishing and maintaining ThaBarWa Centre at Thanlyin. He has given food, clothes and shelter for more than 2,000 yogis in the Centre free of charge. He also gives supreme guidance for the propagation and perpetuation of sasana through Dhamma discourses and practical meditation. May the ThaBarWa Centre be a source of inspiration to the old, the needy and the infirm people. May Sayadaw be endowed with health, virtue, and wisdom to fulfill the mundane and supramundane Dhamma to perpetuity.